Tucson Statistics April 2013 Housing are from the Tucson MLS. The Tucson Association of Realtors operates the Tucson MLS System. 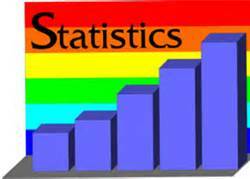 Tucson Statistics April 2013 show continued improvement in the Tucson Real Estate Market. 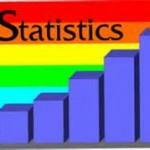 Tucson Statistics April 2013 shows the current months data for the Tucson Real Estate market. Check the month to month data to find trends in the market. If you “really” want the home, make a “reasonable” offer. We work with our buyers to present an offer – THEY – feel good about. Some low ball offers are getting the job done. Some aren’t. You have to ask yourself, “ will I feel bad if I don’t get this house?” If the answer is no, then put in an offer you would feel is a steal and see what happens. If the answer is yes, put in an offer at a price you would feel is reasonable to you and hopefully the seller. We will work with you to understand you objectives and analyze the market to determine – as best we can – a price range for the home you want to buy or sell. Interested in Tucson Foreclosed Homes For Sale? We can help! Check out our Tucson Real Estate Blog. Review the economic & financial information for Tucson Arizona –READ. Interested in finding a Tucson Luxury Property? Go Here!